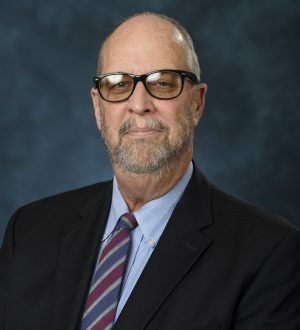 Professor Broadhead has over 35 years of trial and appellate criminal litigation experience in Mississippi state courts from youth court to death penalty cases while serving as the Marion County Public Defender and as an Assistant Hinds County Public Defender. He is a life member, past president and board director of the Mississippi Public Defenders Association and has served on the faculty of the MPDA Trial School, a trial advocacy teaching institute (created in conjunction with the Mississippi Judicial College and in cooperation with the University of Mississippi School of Law) designed to enhance the courtroom skills of criminal defense attorneys. He was a constituent member of the Mississippi Supreme Court Advisory Committee on Rules from 1998-2012, also served as an adjunct professor from 1999-2001 at Mississippi College where he taught Litigation. In addition to the Criminal Appeals Clinic, he teaches Federal Habeas Corpus, Criminal Evidence Trial Skills, Advanced Appellate Motion Practice, and Solo/Small Firm Practice Seminar.